by Paul Simpson, Dreamwatch Februray 1999. "The day after the first one hour show, my daughter called from school and said 'Everybody's running in slow motion, Dad!'" It was at that moment in 1974 that actor Richard Anderson realised for certain that he was involved in something beyond the usual run of the mill television show. 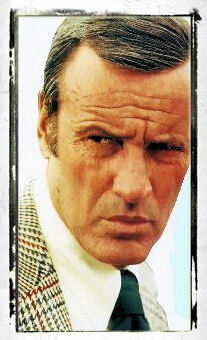 Playing Oscar Goldman, boss of the Offic of Scientific Intelligence, Anderson was the "the Washington man", as he had been at numerous times in the past, but somehow THE SIX MILLION DOLLAR MAN was different. His top operative, Steve Austin, played by former BIG COUNTRY star Lee Majors, was a test pilot whose body had been torn apart in a crash in the Mojave Desert and reconstructed using the new science of "bionics". Austin's arm, both legs and eye were replaced by prosthetics that enabled him to run at 60mph (depicted by showing Majors running in slow motion) and see incredible distances. Seated in a Barnes and Noble bookstore coffee shop in the heart of Century City in Los Angeles, the cream suited Anderson loks barely different from his appearance on screen an incredible quarter of a century ago, and it is difficult to believe that he has been working in the movies since not long after the Second World War. He's obviously used to the attention he gathers from a thirtysomething age-group - "I understand now why where I go people look at me, and a certain paralysis sets in," he says modestly. 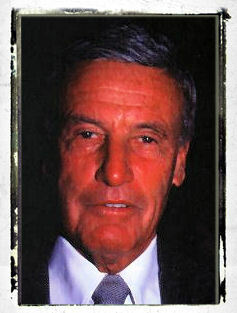 Although he appeared in thirty films for MGM including FORBIDDEN PLANET the part for which he is most widely recognised is Oscar Goldman - although, contrary to most people's recollection (and the impression given by the title sequence of the series), he was not involved with the exploits of Steve Austin right from the start. 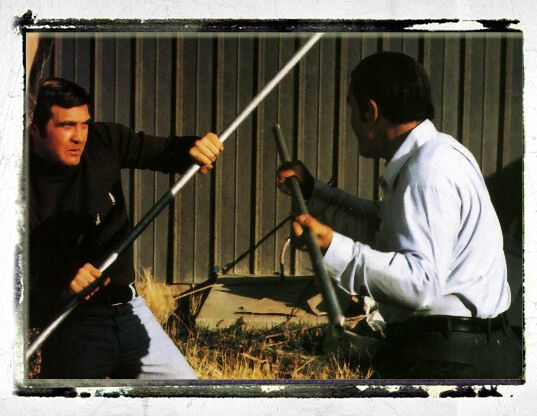 In the pilot movie, The Moon and the Desert, the decision to spend six million dollars transforming the wreck of an astronaut into a bionic man was actually taken by Oliver Spencer (Darren McGavin), to whom Steve reported during his first mission. The pilot was successful enough that Universal were commissioned to produce three further two hour movies, but American television being what it is, the formula was tweaked. "They were making some cast changes, and they decided they wanted me," Anderson explains in a slow, clear voice. "I read the script, and I said, 'Yes! When do we start?' when I was offered the part, because I felt it was quite different. Martin Caidin, who wrote it, had an original idea. We did two two-hour movies (Wine, Women and War and Solid Gold Kidnapping) - and they didn't do the third." 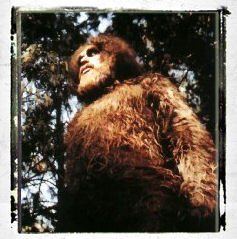 Instead, THE SIX MILLION DOLLAR MAN began the first of its five successful seasons. How did Anderson envisage Oscar? "I saw him as a Washington man, an experienced person. A patriot. Dedicated. Single purpose, in a sense. Those where very tough time, you recall. There was a diplomat called Charles Bohlam, the US Ambasador to Russia, who before that was State Department. He used to play poker with all the newspaper guys and speak theirlanguage, so I modelled Oscar on him. A very fine man." 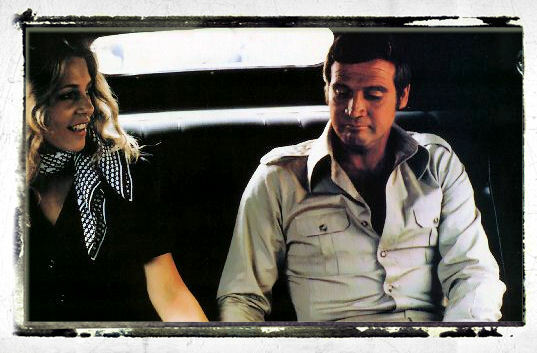 Anderson doesn't hide the fact that some of his scenes could be repetitive, particularly when the success of THE SIX MILLION DOLLAR MAN led to the production of a spin-off, THE BIONIC WOMAN (see DREAMWATCH 24), starring Lindsay Wagner as Jaime Sommers, Steve Austin's girlfriend, injured in a skydiving accident and reconstructed with two bionic legs, a bionic arm, and bionic hearing. "There were several intrinsic things that came up all the time, where Steve would say 'I don't want to do this any more'. When Lindsay came around, she had a very strong personal feeling about violence and tried to keep it to a mimimum in THE BIONIC WOMAN, which was somewhat successful. THE WOMAN came as a result of the time change: we went to Sunday night, she came in as a guest, and set the world on fire. So they invited me to come over and be the connection." 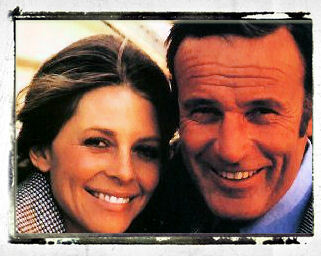 During the final year of THE BIONIC WOMAN, Anderson was playing the same part on two opposing networks, and in total appeared in eaight seasons' worth of episodes. Did he find much character development for Oscar? "For any person who's been in a series, it's a wonderful experience if you can live long enough. I had a fast car:air conditioning in the summer and heat in the winter. I was back and forth, and didn't ave much time to do anything else. But the one thing you do have is the chance to get seated in the part. You can see how the show works. You can see the audience is coming in, looking forward to a good time, so I just found that I whistled to work because, although it was hard work, I knew pretty much what was expected of the guy. He had his hands full with two very charasmatic and questioning people who were one fourth bionic. We mined that to a great degree. It was a real question. Goldman was an action guy He wanted to be there, and he was very concerned about his people, and wanted them to get the protection they needed wherever possible. It was tough because they were the one person instead of an army who went in to do undercover work. "There is an 0SI - did you know that? It's called the Office of Special Investigation. It's an Air Force arm that guards the President overseas, and they go on these special missions connected with a branch of the government. We got a call from them, the first show that was on, so we changed it to the Office of Scienific Investigation. I have an honorary lifetime membership with them. Did he find that he was displaying different sides of Oscar to Steve and Jaime - being a buddy to Steve, but almost 'uncle Oscar' to Jaime. Anderson laughs then says slowly, "Schizophrenic's not the word! The word is really paranoiac, or shall we say, coming in with two different sides of it. Austin was no nonsense, 'let's get on with it', and Jaime was very intelligent - Lee's very intelligent but very different - so I would have to handle them very differently to get the job done, and have them have fisith in me. They had to trust me." Oscar often inveigled Steve into assignments, whereas with Jaime he always had to ask more or less nicely "She was a reluctant candidate. She wanted to teach, which is what she later did when we got into the two hour movies ten years later." Other bionic characters were added on and off: the Seven Million Dollar Man, the Bionic Boy, Max the Dog... "Yes, (the studio) was attempting to find out, experiment, see just how far they could take this enterprise. To a great degree, they were very successful. The Boy didn't work because kids started jumping off walls when they saw it, and we had to quickly stop that. The Dog was very successful, and we used it on THE WOMAN in the last year." There was a strong narrative drive within the episodes, even if they sometimes became a little cartoonish. Did Richard feel that they had gone to the well as often as they could, or were there more stories to be told? "I believed there were more stories, but I moved onto other things. Also I needed some time to enjoy life a little. Like Hitchcock said when he went back into the studio, 'Here we are, back in the prison'. But I always felt there was more to it, and the time opened itself up later on." At the end of the 1979/79 Season the bionic shows came to a halt, and Richard Anderson moved onto other things. However, he maintained his friendships with the other lead actors, and in 1988 found himself on a grand tour of Europe with Lee Majors. "We spent a couple of days in Paris, then a couple of days in the South of France and got on a barge trip," Anderson explains. "Each day around 4 pm we'd stop at these locks, and get on bicycles or take a walk. Lee one day said, Richard, I'm going for a run,' so I went on the bicycle and caught up with him. With Lee, you can walk with him for ten minutes and not say anything. We were coming to a winding road. Very slowly I'm pedalling, and he's loping along, and I said, 'Steve, what about one more mission?' and he said, 'No, Oscar...' and we went into it. "Then we said, 'Wait a minute, this might really..' I got back to the United States and thought, why not? I helped Universal go through the motions, interfaced with the network, got all the principals, and we made the first one, which was successful. I said there was more to this, so I went through that process three times. We made three two hour movies over a period of '88 to '94.1 love the idea of seeing something from the beginning to the end. The last one I executive produced." It was while in post production on Bionic Ever After, the third TV Movie, that the thought of a larger scale return for Steve Austin crossed Anderson's mind. Now, five years later, the big screen adventures of THE SIX BILLION DOLLAR MAN look as if they might be becoming a reality. 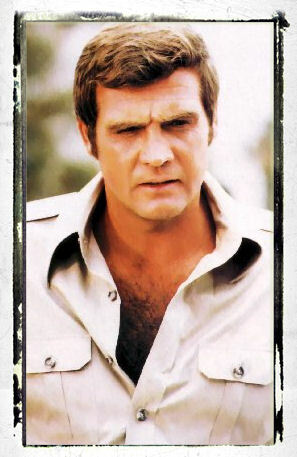 Although various names have been connected with the project, including SUPERMAN LIVES' Kevin Smith and US MASHALLS' John Pogue, all Anderson can say as at 6 January: "The Universal Motion Picture Group is in vigorous development for a big screen version of THE SIX MILLION DOLLAR MAN." Why return to the scene of a past success? "I'm not doing this for my own satisfaction," Anderson says flaty. "I grew up at a time when they made great motion pictures. My sense is I would like to see pictures made that honour our predecessors. I ran CASABLANCA the other night, I ran LAWRENCE OF ARABIA the other night. You're in another world. Excellence is the word. Layered. We're trying to layer our movie, give it some of that quality Within the constrictions of what we can do, the only thing that I've tried to do in my work is to be thoughtful." Why does he think the bionic shows were so succesaful? "You have to understand what was going on. Vietnam was winding down. Everything was negative, in the 'black hat', so we came up with a 'white hat' show that also had a medical message. I think it was a good show, and it allowed us all to move forward, because it had a great premise."